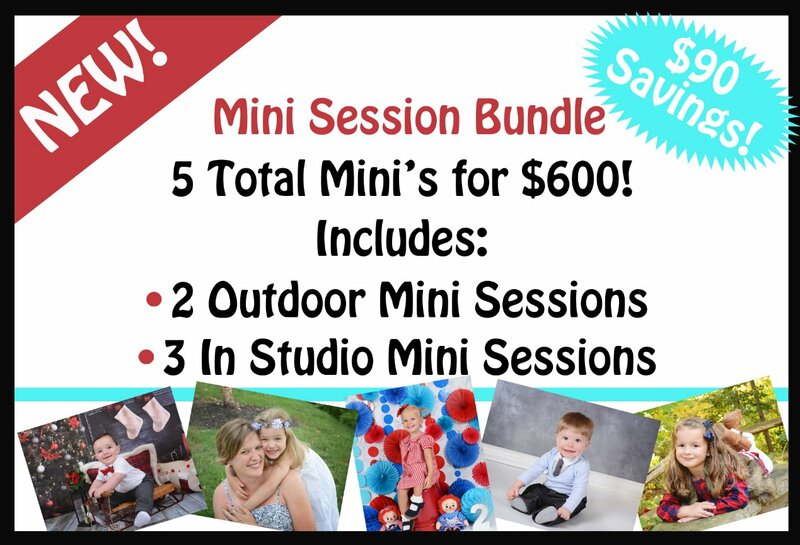 This Package includes 5 total mini sessions. (2) Outdoor Mini Sessions (3) In Studio Mini Sessions. Savings of $90!! All 5 mini sessions must be used within 1 year of the first scheduled session.